The Drive Electric Orlando project is a large-scale effort to address one of the core barriers to widespread plug-in electric vehicle (PEV) adoption: increasing consumer familiarity with the technology. Over the two-year project period, this project will allow thousands of visitors from across the United States to rent a PEV in Orlando. The project taps into the largest rental car market in the country by providing PEVs for a multi-day test drive. In addition to making the vehicles available, the project will use incentives such as equitable rental rates and theme park incentives to promote these rentals. Alternative Fuel Corridors are designated by the Federal Highway Administration (FHWA) and are part of a national network of roadways that provide sufficient alternative fuel and charging facilities. The goal is to create and expand a national network for alternative fueling and charging infrastructure with correlated signage throughout the National Highway System. Rounds 1 and 2 of the designations consisted of 58 nominations from 44 different states, covering over 100,000 miles of highway. Central Florida Clean Cities Coalition is working with several other coalitions to establish Alternative Fuel Corridors on major interstates throughout the state of Florida. The Advancing Alternative Fuel Markets in Florida project developed model codes, ordinances, purchasing guidelines, and incentives; conduct safety and training programs for first responders, service technicians, mechanics, code officials, fleet managers, and key decision makers; and develop a strategic plan for the coordinated deployment of alternative fueling infrastructure across Florida. 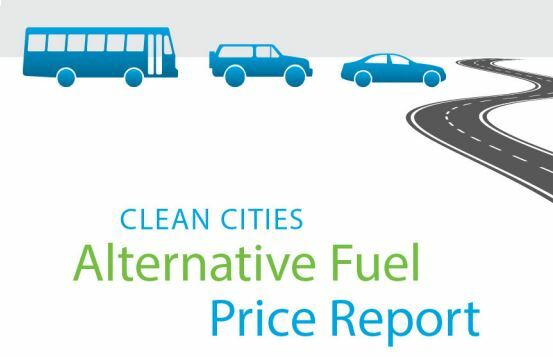 The Clean Cities Alternative Fuel Price Report provides regional alternative and conventional fuel prices for biodiesel, compressed natural gas, ethanol, hydrogen, propane, gasoline, and diesel. The Alternative Fuel Price Report is a snapshot in time of retail fuel prices. Alternative fuel fleets can obtain significantly lower fuel prices than those reported by entering into contracts directly with local fuel suppliers.